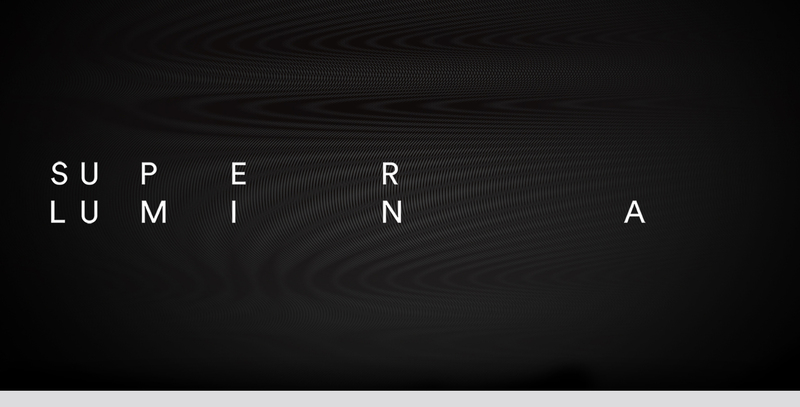 The Super Lumina range is the result. Consisting of audio interconnects and speaker cables, the range is capable of meeting the demands of Statement but is equally at home in other Naim Audio 500 and Classic Series systems. The Super Lumina interconnects feature an advanced version of our patented Air-PLUG technology first introduced for the Hi-Line. 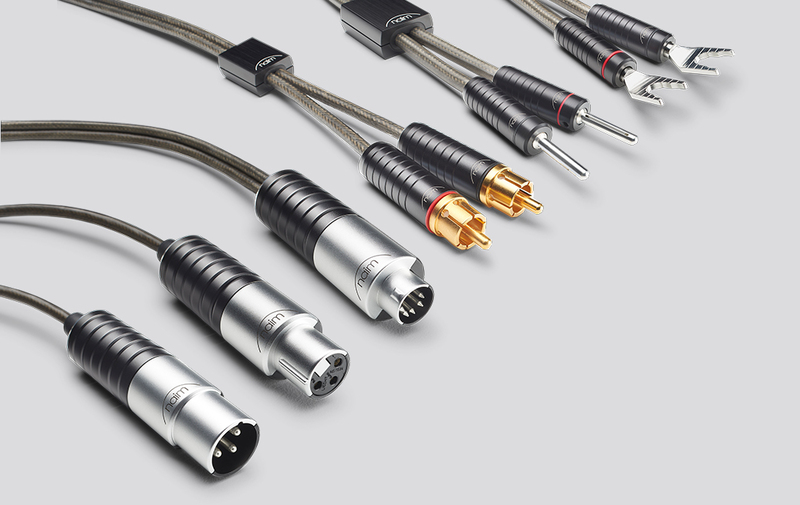 All DIN and XLR connectors have the Air-PLUG connector which is designed as a decoupling device to minimise microphonic interference and preserve the integrity of the audio signal. Super Lumina cables are designed to minimise the effect of external and internal interference sources and preserve maximum signal fidelity. The fundamental cable design consists of several individually-insulated multi-strand silver-plated copper conductors of varying diameters enclosed in a tin-plated copper shield. This is all enclosed in a soft outer jacket which facilitates easy installation whilst minimising microphonic interference. Each signal, return, ground and shield conductor is individually manufactured for its specific function. The ground conductor references the audio band waveform, mirroring the internal design of Naim Audio electronics. 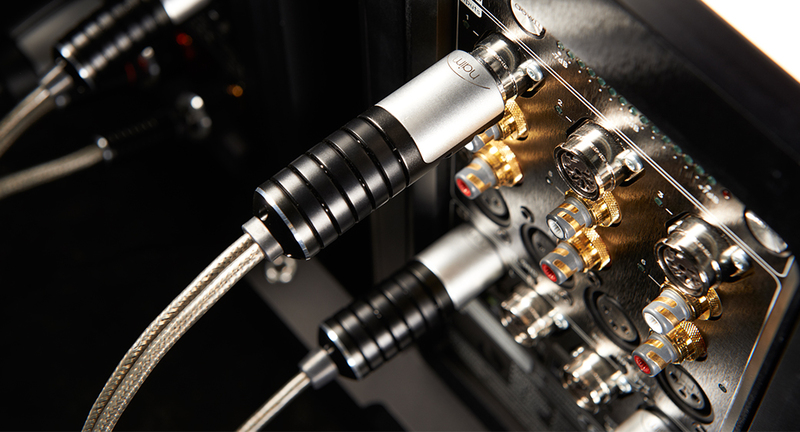 Each Super Lumina cable is hand-assembled at Naim Audio in Salisbury to the customer’s specification of length and termination and goes through a proprietary de-stressing process to relieve the materials of the inherent stresses which are a result of the manufacturing process. This means the cables reach optimum performance with minimal run in time. Source to preamplifier interconnect: Available with DIN, RCA and XLR connectors. Power amplifier to preamplifier interconnect: Available with DIN or XLR connectors. Speaker cable: Available with 4mm and spade connectors. Super Lumina pre to power interconnects ship as standard with all Statement systems. The Super Lumina range is available from select Naim Audio specialist retailers.